GET BUILDING MATERIALS AT BARGAIN PRICES OR FREE! Don't let a little thing like not enough money keep you from building your dream home. You can get richer in more ways than one by spending yourself! Think of your journey as the difference between taking the freeway in a Mercedes (if you're wealthy and can hire everything done) or taking a dirt road in an old pick-up (if you're financially challenged and do all the labor yourself). You can still get from here to there; it'll just take longer. 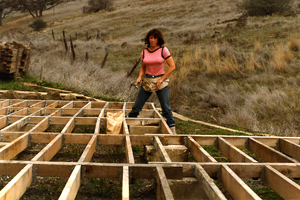 I know, because I'm still driving the same old pickup I bought 25 years ago for $800 (it was old THEN) and I have managed to build 16 assorted structures in my spare time, while working as a waitress earning $1200/mo. By plugging along all these years, I have increased the value of my property from $40,000 to over a million dollars, and I'm still working on it. My secret? Tunnel vision, energy and drive, and scrounging building materials like crazy. 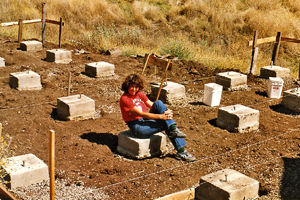 What I didn't have was any building experience, but because I paid as I went along, it gave me plenty of time to learn as I went along. Progress was slow in both categories, but what seemed like mission impossible ended up mission accomplished. How did I learn to build, and how did I afford it? 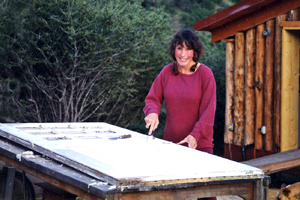 By reading how-to books, using common sense, employing the monkey-see monkey-do method, and incorporating other people's surplus into all my livable structures. If I can do it, you can too! We live in a land of plenty. This is a great opulent country! Consumers keep the economy going, but even people on subsistence-level incomes like myself, can benefit immensely from what others cast away...such as their old stuff that isn't even old yet but is tossed out to make room for their new stuff. Garages are so full, there's no room for the family cars! Sometimes you'll see couches and tables set out in yards with signs that say, "Free." American homes are overflowing! 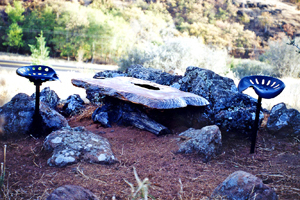 Scrounging is the art of looking for building materials wherever you go and sometimes finding them in unlikely places. If you are itching for a bargain, the world is a great big flea market. It's not about being a cheapskate; it's about being smart and saving money, and at the same time recycling what would have gone to waste. And in my self-righteous book of virtues, waste is immoral! It takes some keen observational skills to be on the lookout for what you want and the motivation to ask for it...the motivation being you have no extra money. 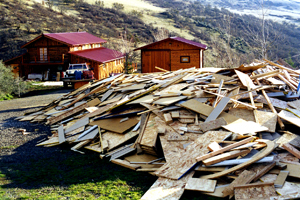 Figure out what you need at any given stage of your building project and cultivate a roving eye as you drive around and notice what appears to be discarded stuff: lumber, fencing, pipes, visqueen, roofing, tarpaper, rebar, concrete blocks, bricks, windows, pallets, etc., piled around houses and businesses, and even near dumpsters. Screech to a halt and ask if it's for sale, or if you can have it free for hauling it off. You'll be amazed at how many people will welcome you to take their clutter away. Take a drive around town just before trash pick-up day, and if you spot some goodies, ask the homeowner for permission to take those items they had set out for the garbage truck to haul off. Be sure to get there before The Terminator (garbage truck) beats you to it. Get on the phone regularly or go in person and ask at hardware stores and paint stores if they have a collection of assorted reject paint and stains they'd like to get rid of (wrongly mixed colors or whatever). They always do. Usually they have 5-gallon buckets as well as 1-gallon cans. I've bought almost all my paint and stains for $5.00/gallon this way. And they've even added some pigment for me (for a small fee) to achieve a color I wanted, just to get rid of their stash that's taking up storage room. Go to carpet outlets looking for slightly damaged carpet (a faded streak or tear or some imperfection) and ask what their rock bottom price is, or make an offer. My carpet was a color apparently nobody but me liked (burnt orange), so they marked it down to only 6.00/yd.! It was brand new and excellent quality...made for heavy traffic in casinos and hotels...and is still in great shape after 10 years of wear and tear. 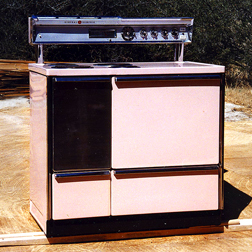 Visit linoleum and tile dealers, and other big outlet stores, for slightly damaged goods as well. Tile stores almost always have fantastic sales on batches of tile they're trying to get rid of to make room for new stock and the latest trends. Sometimes they have boxes of free tile out back. Check out window and glass companies for imperfect glass such as a tiny scratch, or a speck between the panes. 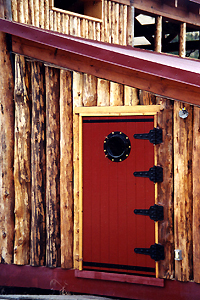 I had all my double-paned windows for three of my log structures made from used glass at half the cost of new, and I can't tell the difference. 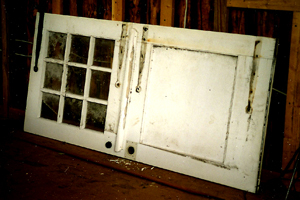 I am presently storing a large load of expensive Low-E (energy-efficient) double-paned windows that were given to me by a contractor whose wealthy client changed her mind on her fenestration (see dictionary) and paid for the change. My son, who is building his own house, will make his window openings to accommodate them. It will save him hundreds of dollars. 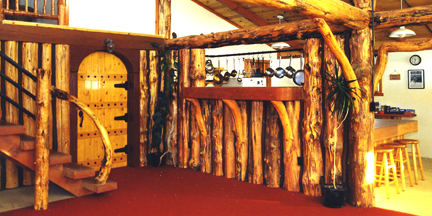 Manufacturing plants and cabinet maker shops sometimes have a by-product you might be able to use. 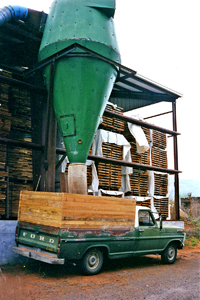 I used to get redwood sawdust for my landscaping needs from a place that made hummingbird feeders and other items out of redwood. I would leave my truck under their chute and drive it home when it was full. 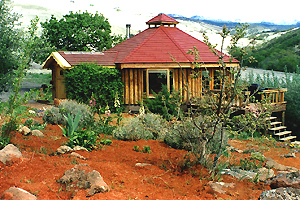 I used the attractive redwood mulch in rock gardens and walking trails all over my property. 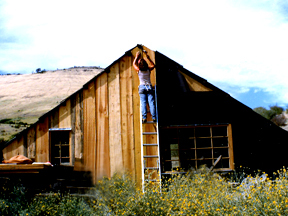 Lumber yards have bargain bins and slightly weathered lumber that doesn't appeal to the average customer, and sometimes broken bundles of shingles and shakes, outdated siding, unpopular fencing styles, and huge cracked and weathered beams nobody wants because they aren't pretty anymore. 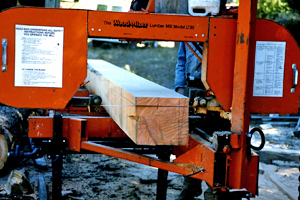 You can hire a portable saw-mill owner to come to you and cut dimensional lumber planks or beams from your own trees with a Wood-Mizer or Timber-King mill (to name a couple). 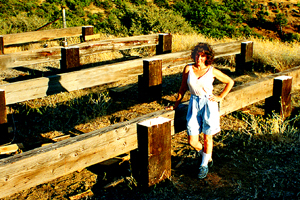 With his Wood-Mizer, my neighbor cut my true 2"-thick X 16' rafters for the piano studio I built. 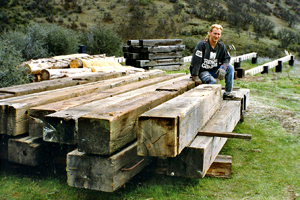 Buy old gray timbers and have them shaved down to size with a portable saw mill. 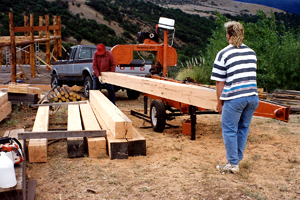 I bought a huge load of timbers for only $250/thousand (25 cents a board foot compared with new timbers at $1.00 a board foot) and had another mizer-man trim them down to 9" X 9"'s with his Wood-Mizer. 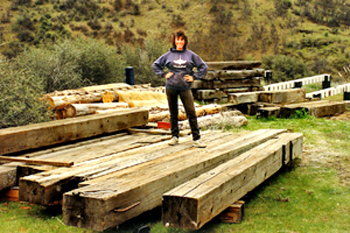 It cost me only $100 for his time and labor (just a few hours), and I had all the ridge-beams and top-plates I needed for my large log home. 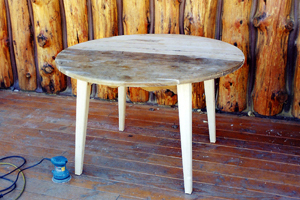 The mill worked beautifully, and its thin band-saw blade left almost no sawdust in its wake. Flea markets are treasure troves of everything imaginable and some unimaginables that you impulsively decide you can't live without. Estate sales and auctions are also chock-full of tools and supplies, and furniture galore. Estate sale outlet-stores can be found in the Yellow Pages and are great places to visit regularly because they are constantly being replenished. Estate sales at homes are usually advertised in the newspaper or the Nickel. 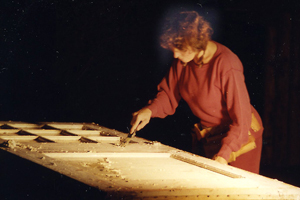 Widows are notorious for getting rid of their late-husband's workshop full of power tools and hand tools in one fell swoop, by calling an estate liquidator or placing their own ad. Fund-raising bazaars and giant swap-meets are also places to find excellent bargains and a diverse array of household goods and building materials. Watch the newspaper for announcements and dates. Frequenting Goodwill, the Salvation Army, and other second-hand stores is a good habit to get into. While you wander around looking, develop the skill of possibility thinking or, better yet, adaptability thinking. That's the ability to see something made for a specific purpose and imagine using it for something entirely different and unrelated. I used a futon couch frame from Goodwill ($5.00) for my kitchen sink counter-top framing, and it worked beautifully. The Nickel Want-Ads reach thousands of people. Peruse yours weekly for fantastic bargains (particularly appliances). Whenever you need something specific (such as a tool), or general (like assorted lumber), put in your own "Wanted" ad for a nominal fee (about $3.00 for a short ad). Craigslist on the internet is an excellent resource to find almost anything you are looking for cheap or free and also to post what you are looking for. People will respond, and you can negotiate the price. Go to garage sales every chance you get. You'll find the bargains of your life at yard sales and moving sales, and you'll have a great time socializing while you're at it. A garage sale is like a big party in somebody's front yard, and everyone in town is invited! People are engaged in laughing and dickering, gossiping and snickering, and having fun playing the negotiation game. I've witnessed people trying to get a ten-cent item marked down to a nickel! The owners are hell-bent on getting rid of everything they set out and toward the end of the day sometimes say, "Just take it away!" If you're not particularly athletic, but become a frequent wheeler-dealer at garage sales, you can boast that extreme garage saling is your sport! 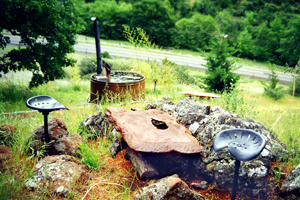 A popular renovator/recycler in Medford, Oregon (Morrows) has made a business out of organizing and selling very unusual building materials from demolition sites and 20th century houses. 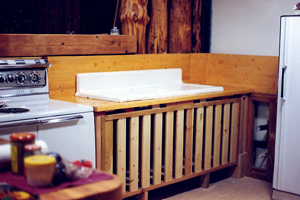 Materials include lumber, claw-foot bath tubs and vintage fixtures, all at bargain prices. But once you go in, the array of unique items is so extensive and diverse that it's hard to leave until they kick you out at closing time! My all-time favorite place to shop is the city dump. Sinks and seagulls nostalgically come to mind when I remember trips to the dump. Regretfully, it is now just a transfer station and there's no more scrounging allowed, but in its heyday, it offered a half-acre of good stuff to paw through to your heart's content. A few years ago I purchased all my beautiful, white- enameled cast-iron sinks for $1.00 apiece at the dump. I still have several saved for my son's kitchen and bathroom. If you are lucky enough to have an old-fashioned dump near your town, go there regularly on a treasure hunt. You won't come away empty handed, and you'll marvel all the way home at what you scored. The dump is a massive renewable resource and the best place to scrounge and salvage. Even the seagulls love it! Ask for price reductions anywhere you are shopping if the materials look a little shop-worn or distressed. I recently got a 50% reduction on 20 sheets of rigid pink foam insulation from Lowe's because the edges were a little sunburned. Their carelessness was my good fortune. Buy used, or new but dented, water heaters. The dented casings don't matter, but slightly damaged water heaters are sold cheap. Turn the dent to the wall. Need a phone line from the phone company's box to your house? If you provide the trench, the phone company will give you all the direct burial phone line you need. I recently buried 1000 feet of line...free. Call your local phone company. Keep your eyes peeled for demolition sights! For whatever reasons, people are constantly tearing down perfectly good structures and building something else. 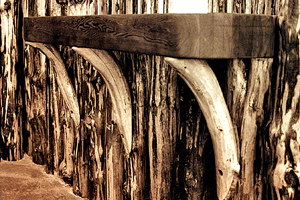 These sites are excellent sources for all kinds of building materials from siding to large beams. A few years ago I asked if I could have an assortment of huge glulams (beams) that were piled in an alley behind where a renovation team was turning a grocery store into a movie theater. 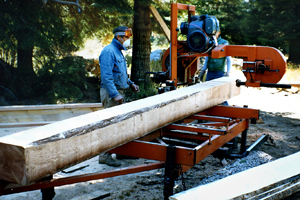 The 6"x24"x 50-foot glulam beam had been the ridgebeam in the store, but was now cut up into 12' and 16' lengths and dumped outside. The workers said, "Sure, you can have 'em if you can lift 'em", then slapped their thighs and laughed their heads off. 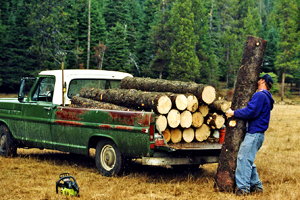 I phoned my muscle-man boyfriend, Kirt, to come down and load them in my old pickup. He tossed them in like they were made of Styrofoam, and off I sped (0-40 mph in 15 minutes), having the last laugh all the way home. I sanded and stained them and used them for countertops, a pass-through counter, and my dining room table. 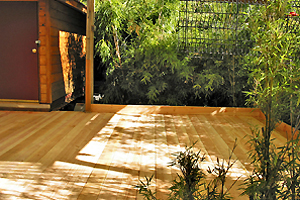 Note: Glulam is short for glued and laminated. 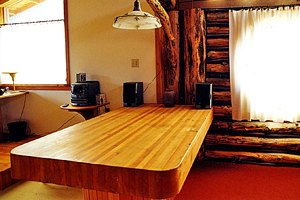 It is built from dimensional lumber (usually Douglas fir 2x6's), stacked, glued, and pressed together to create a beam of any length desired. The end result is strong, straight, and quite beautiful. When you do find a demolition site, ask if you can haul off some of the building materials, or offer to help dismantle something in return for the spoils. 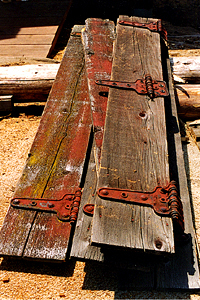 That's how I got all the old barn hinges for my batten doors, the silvery-gray barn wood for picture frames and other projects, and a stash of beautiful 30" hand-split shingles they don't make anymore. I'll eventually use them for siding on a decorative wall or on a small building someday. 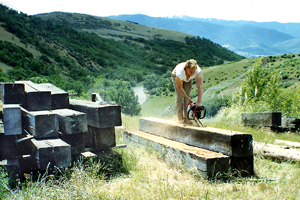 My son is currently salvaging some nice 8"x8"x 12-foot timbers from an old out-building that needs to be removed from re-zoned commercial property. 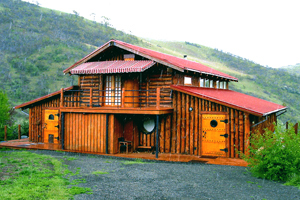 Almost all construction sites, residential or commercial, are gold mines for surplus building materials. 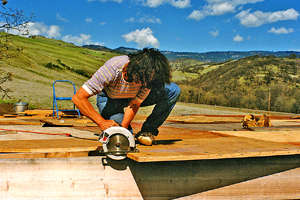 Ask the contractor if you can do some of his post-construction clean-up work by taking away unused random lengths of lumber, headers, versa-lam beams (multi-ply laminated veneers) and partial sheets of plywood that were thrown down by carpenters in a hurry and scattered all over the place. Most builders have time constraints and such a mess to clean up...after a house is built and before the landscaping begins...that they will most likely appreciate all the clean-up help they can get. Bartering and trading labor and/or goods is always a viable way to get building materials and physical help without any money changing hands. It's good old-fashioned free enterprise at work, and the mutual sharing back and forth can forge strong and valuable friendships. On one newly purchased lot where the owner was trying to clear the land of debris so he could build, I spied a sign that read, "Free Concrete Piers...You Haul." I rushed home and got my son and his friend to help lift them into my truck five at a time at 200 lbs. each! We made six trips to take all thirty of them. 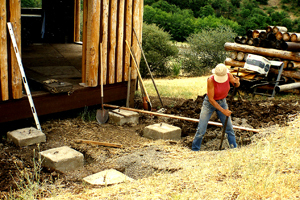 I ultimately used them for a large deck foundation, and for the entranceway footings on the studio I built. They came in very handy and saved me tons of money! So you don't miss an opportunity to snag something good that you can use now or later, take work gloves and a box of assorted hand tools with you everywhere you go. It wouldn't hurt to also carry with you a liability agreement that states you will not hold the owner of the goods responsible if you get hurt taking them away. Give out a signed copy whenever you need to. People (including contractors) are so afraid of being sued that a signed waiver will assuage their trepidation and possibly cinch the deal. They will feel legally protected. 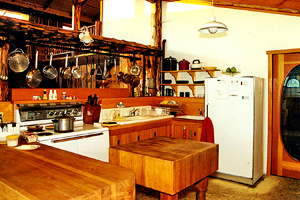 Cabinetmakers have used cabinets to get rid of after people remodel their kitchens and have new cabinets built. Those people have money to burn; you don't. Ask to haul away the perfectly good but used cabinets. If need be, you can paint them a color you like. 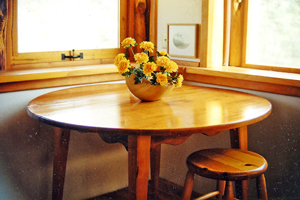 Cabinet and furniture makers often have piles of hardwood scraps, such as leftover pieces of exotic woods and high-quality plywood that they are often willing to get rid of. If nothing else, you could burn the kiln-dried hardwood in your woodstove. Call electrical contractors and ask if they have used electrical boxes, breakers, conduit, and assorted rolls of wire that were left over from a job. Builders put up temporary electrical service boxes and remove and replace them when the house is ready to be permanently wired. The contractor will have to use a brand-new box on his next project, so the old one (like new) gets put on a shelf in a storage facility. That's where you come in. Keep an eye out for free fill dirt from construction sites where basements are being dug or hilly land is being leveled. The contractor needs to dump it somewhere, and if you're closer than the dump, he'll bring it to you instead. To get on the contractor's preferred list and beat out the competition, offer to at least pay for the gas. My son Eric recently had 20 loads of fill dirt from a project in town brought to his building site, to backfill his basement walls, for the price of the trucker's time and diesel fuel. So instead of the usual $200 to $500 for a 10 cu.yd. dump-truck load of dirt, he paid $50 a load. The price of fuel has driven up all construction prices tremendously. There has never been a more mandatory time to scrounge than now! Most nurseries have reject plants in their back lots where they keep their crooked and scraggly trees and bushes and sell them cheaply! A tree is a tree is a tree...it'll recover and thrive after it's planted. 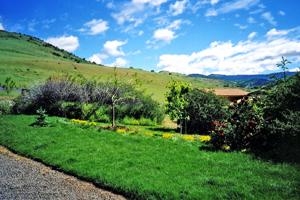 And at the rate you will probably be developing your property, you won't need immediate landscaping. Let landscaping contractors or spec-house building contractors know that you'll pick up their left-over sod from their instant lawn projects. Ask them to call you before the rolls dry out. I did my own front yard, a little at a time, by acquiring free sod this way. I also asked my friends around town if I could take root cuttings from their weed-like, drought-resistant trees that send out root runners every which way...and they usually aren't appreciated. 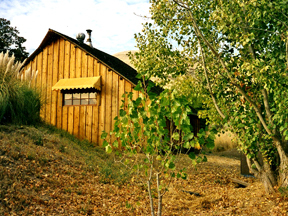 Now I have beautiful windbreaks of "Silver Poplars" and "Trees of Heaven" all over my property. The effort was labor-intensive (digging and planting always is)...but free. Go to tire dealers for used tires for your garden. They are great to partially bury in the ground and plant tomatoes and other vegetables in and for weed and water control. Their heat retention quality is great for early spring planting. Refurbished tools, half-price or less are piled high on shelves at Sears Service Centers, just waiting for a second owner to use and abuse them. They come with a new guarantee. Fabric outlet stores and giant discount stores are the places to go for interior furnishings. Yardage and drapery material are sometimes a buck or two a yard! I bought all my heavy-duty cotton duck curtain fabric from Walmart for only $3/yd. 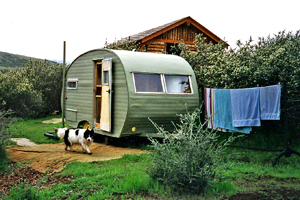 I highly recommend buying a small trailer to convert into a temporary bathroom facility and place it near your septic tank so it can be easily hooked up. I did just that when I was building my house and used it for years. 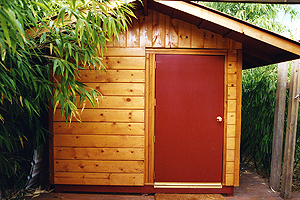 I gutted it, installed a toilet, basin, painted-plywood shower stall, and 40-gallon water heater. When the house was finished, I put an ad in the Nickel and sold it to the first caller for $500 ($200 profit after using it for years). Even before it was towed away, I received 20 more calls from disappointed would-be buyers. 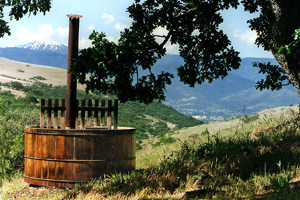 If you don't have a septic system installed yet, pick up an old water heater free from the dump or an appliance store, strip it down to the bare tank, paint it black, set it up on stilts or a platform above where you'll be showering so the water will gravity flow. Whenever the sun shines you'll have all the hot water you need for bathing. 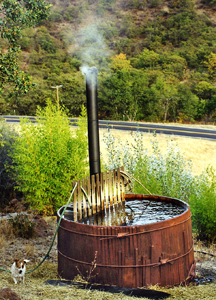 When I first moved onto my land and was living in a tent and had no electricity yet, I bought a wood-fired hot tub from the Snorkel Stove Co. I bathed and soaked under a canopy of stars whenever I was dirty, tired, and sore (which was always). It was little splash of heaven after a hard day's work. 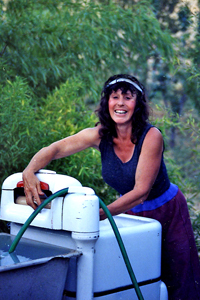 Another way to save money while developing your property is to put up a clothesline and buy an old wringer washing machine that can be filled with a hose. If you live out in the country, driving to town to a laundromat burns gas, and is expensive and time-consuming. 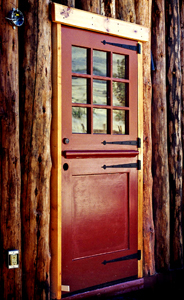 Apply for extensions on your building permit, so you have a year between inspections instead of the allotted 6 months. That will give you extra time to save up for materials and complete the labor for each stage of your building project that requires an inspection. If your friends and relatives are insistent on giving you holiday gifts, tell them that what you really want for Christmas or your birthday are building supplies...a gift certificate to the lumber yard or hardware store...or just plain cash to buy materials with. If they want specifics, give them a list of items to choose from. "Scrounging" is synonymous with "Labor," and "Free" is synonymous with "Sweat." If you want to save money, you will have to pay in time and labor. But look at it this way: You are also saving a bundle on not needing a fitness center membership and a personal trainer!